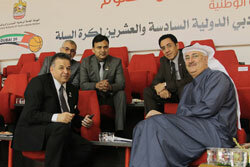 The IICCI & ISE’s Global Trade Platform - The Indo-OIC Islamic Chamber of Commerce and Industry (IICCI) and ISE Cards India Ltd. (ISE) jointly brings an opportunity to get buyers and sellers of IICCI member countries on one platform for bilateral trade for mutual benefit and ease of trading to aim building healthy and trustworthy business relations among the members. 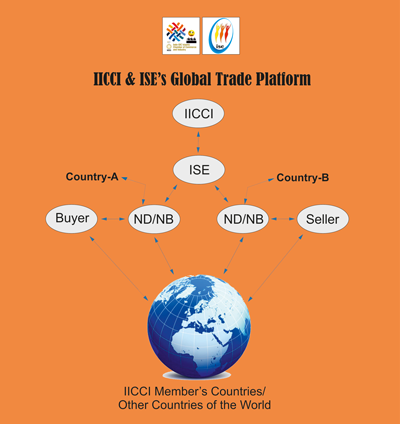 ISE being Exclusive Global Commercial Partner (EGCP) of IICCI always endeavoring to develop member countries by providing different platforms, Global Trading Platform being one of them. The goal of IICCI and ISE partnership is to create a harmonious business community to help grow and enrich the members together. This database would have over 200 prime products made available to all for bilateral trade. This database facilitates to the intended buyer-seller to build business confidence over each other as empaneled manufacturer would have been through strict due diligence procedures by National Director. Due to this, intended buyer-seller would take quick and positive decisions. Special Opportunity for World Top & Repute Manufacturers/Suppliers/Buyers"
The IICCI/ISE also invites proposal from World Top & Repute Manufacturers/Suppliers/Buyers to Empanel their products and services to attract our global networks for sale and purchase with genuine parties under proper due diligence and screening by our national directors of each empanelment into IICCI/ISE.